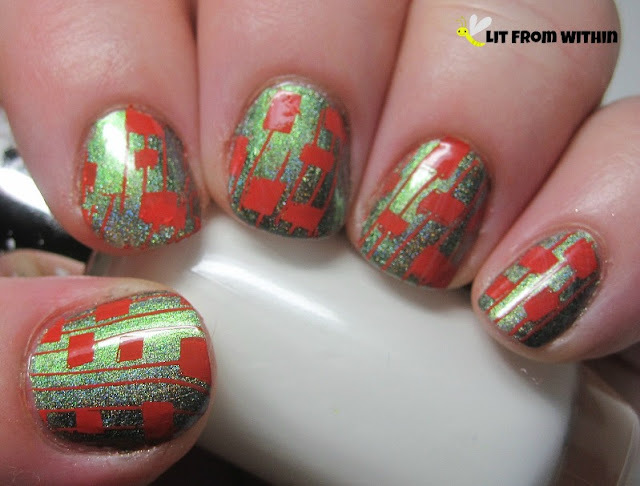 I belong to a group of nail polish enthusiasts that sometimes have little nail art challenges. I participated in two of them, and I wanted to share my nailart with you, too! 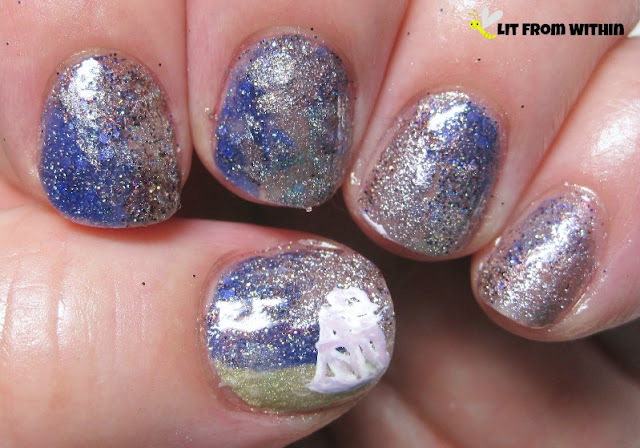 How it works is that someone posts an inspirational picture, and then we create nailart inspired by it. It's not a literal translation, necessarily, either. Just how we interpret it. I did some stamping over a duochrome base that I felt captured the look and feel of the installation. 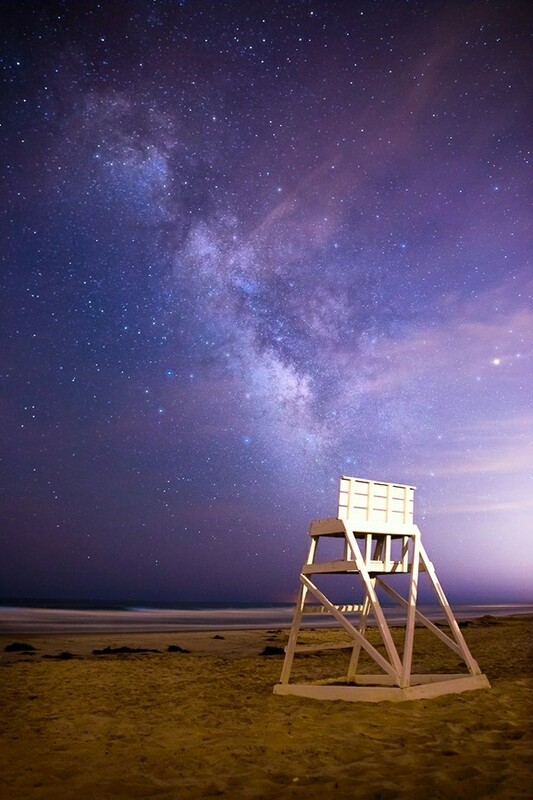 I did my best to recreate the lifeguard chair, and then mixed a lot of glitters to come up with my version of that incredible sky. Boy, howdy, are some glitters hard to clean up. I've been taking most of my nailart inspiration from product packaging these days, so it was fun to mix it up and do some different nailart!